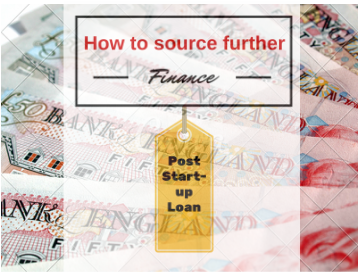 Intern’s Insight: What funding is avaliable after a Start-up Loan? The government start-up loan scheme provides the initial cash injection of up to £25,000 to start-up a company as well as the mentoring and business promotion support to help an entrepreneur through the initial challenges and stresses that they are confronted with. The finance, mentoring and support is the surf board over the choppy waters of startup, helping to keep you afloat (had to get a surfing analogy in there!). 1) Crowdfunding: This is peer lending where groups of people invest small amounts of money into a business, usually for a perk or stake in a business. Startup-Direct is running a crowdfunding workshop with advice about the best way to do a crowding internet pitch on the 24th April). 2) Angel Investment: These are investors who inject financial capital into your business in return for a stake (share) of your business (equity). These investors can also link you to other investors and to potential business links or partners to help your business grow. Networking events, such as the monthly networking events run by Startup Direct which link loan recipients, mentors and sector specific entrepreneurs, can be good ways to meet potential investors. The Business Startup Show on the 13th and 14th May (Startup Direct is an exhibitor) will also have an “Angel’s den” where you can pitch for Angel investment. 3) Banks: These are the obvious way of getting a loan, after a business is successfully trading (the start-up loan scheme offers a loan to businesses which would not necessarily qualify for a bank loan). They offer financial support with interest. Startup Direct has many partnerships with banks so can help you access this funding. 4) Grants: If you are lucky enough, there are some community grants available. However the criteria for these is often very specific. Check out Startup Direct’s newsletter and social media page for some suggestions about these (such as [email protected] and www.granttree.co.uk ). In the meantime make the most of Startup directs mentoring and support. Take every opportunity for networking, every piece of advice from a mentor, every free piece of business promotion, every small failure as feedback and never stop learning and striving to make your business the very best it can be.